MATT CHEMPRODUCT & C°® it's family company was created in 1983 with for main activity the research, the development, the manufacturing and the sale of products intended for the industrial maintenance. Our industry range boasts more than 300 products that fulfil the expectations of industrialists, Public Work companies, building firms. In 1998, we developed a new business sector specialized in the yachting. The Range Matt Chem® Marine is intended for the maintenance and for the renovation of boats. It is designed for shipchandlers, yards and naval architects. Currently, we are leading on the French market of the Maintenance and the Renovation of Boats. In 2009 and 2016, we created new departments Car/Motorcycle/Leisure Activities intended for the maintenance and the renovation of cars, motorcycles Caravans, Camping Cars, Swimming pools, Terraces. We developed Ranges MATT CHEM® Car, MATT CHEM® Bike , MATT CHEM® Leisure Activities. In order to determine the biodegradability stakes of detergents, there is cause to explain what surfactants are. A surfactant is an element that is part of the composition of the detergent which is endowed with a wetting, emulsifying, solubilising and foaming power. It allows us to lower the surface tension of water. MATT CHEM® develops maintenance products presenting eco-friendly characteristics. CE regulation No 648/2004 of the European Parliament and the Council of the 31st March 2004 that came into force on the 8th October 2005 states that surfactants contained in maintenance products have to be biodegradable in conformity with the new norms of aerobic (presence of air) and anaerobic (absence of air) biodegradability. our aim : the choice to prioritize turning towards surfactants of vegetable origin. 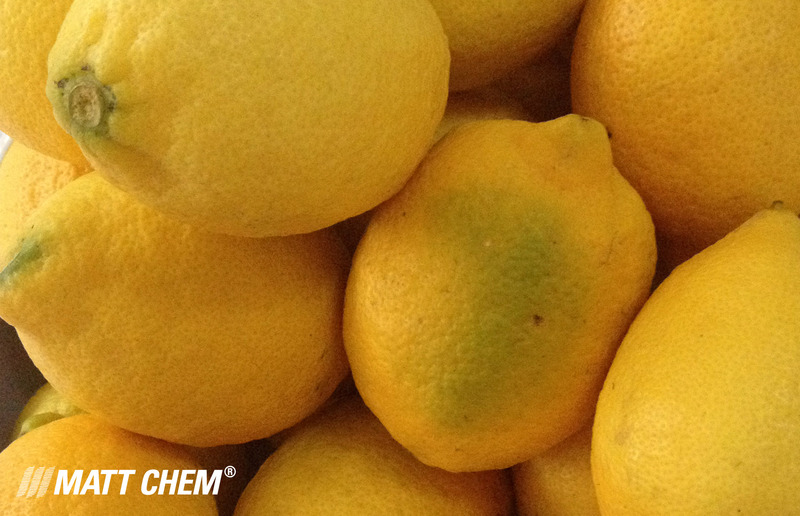 MATT CHEM® creates cleaners from selected ingredients of an easily renewable origin. Their natural origin and their biodegradability assure them a better compatibility with the environment. The choice to use surfactants and composition elements of an easily renewable or vegetative origin in cleaning detergents allows us to respect the regulatory obligations of ultimate or final biodegradability in order to reduce as much as possible all damage to the environment and the health of users. For MATT CHEM®, biodegradability is the destruction of surfactants contained in products and also composition elements by micro-organisms, bacteria and other biological agents, oxygen, etc. It is for this reason that it is imperative to calculate the Biological Oxygen Demand (BOD) and the Chemical Oxygen Demand (COD) of formulations in order to assure their complete aptitude to biodegradability (decompositions in carbon dioxide, water, mineral salts, etc.). - Selection of raw materials of easily renewable origin such as choosing those coming from vegetables. - Choice of preparations presenting at the same time criteria of eco-toxicity and biodegradability verified. MATT CHEM ® products are French products, made and developed in France with French Raw materials.